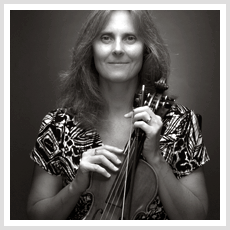 Violinist Cyndi Hall is a native to Southern California. Having picked up the violin as an adult in her late thirties, she never dreamed of performing as a professional musician. Yet through hard work and discipline she found herself performing in church orchestras after just eight months on her violin. Within four years she was performing in symphonies, teaching, and pursuing a second Bachelors Degree in music, her first being in Psychology. After fourteen years on her instrument, under the instruction of violinists Sharon Cooper, Leslie Katz, and Miwako Watanabe, Cyndi has performed with numerous symphonies, Chamber orchestras, College Orchestras, and musical theater throughout Los Angeles and Ventura counties including: Grace Baptist Orchestra,The Masters' College Orchestra, Santa Clarita Master Chorale Orchestra, LA Valley Symphony, Moorpark Symphony, CSUN Orchestra, Red Cross Benefit Orchestra, Channel Islands Chamber Orchestra, Ventura Baroque Chamber Orchestra, and the Escape Theater, Footworks Youth Ballet Orchestra. Over the past few years can be heard as a studio musician on numerous animated television recordings which include Walter Murphy Orchestra, Ron Jones Influence Orchestra, Seth McFarlane Live to tape variety show, American Dad, Family Guy, Cleveland and King of the Hill. 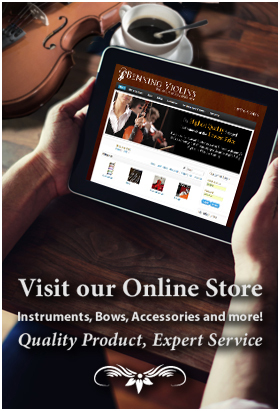 Cyndi Has used her Benning violin throughout her career.